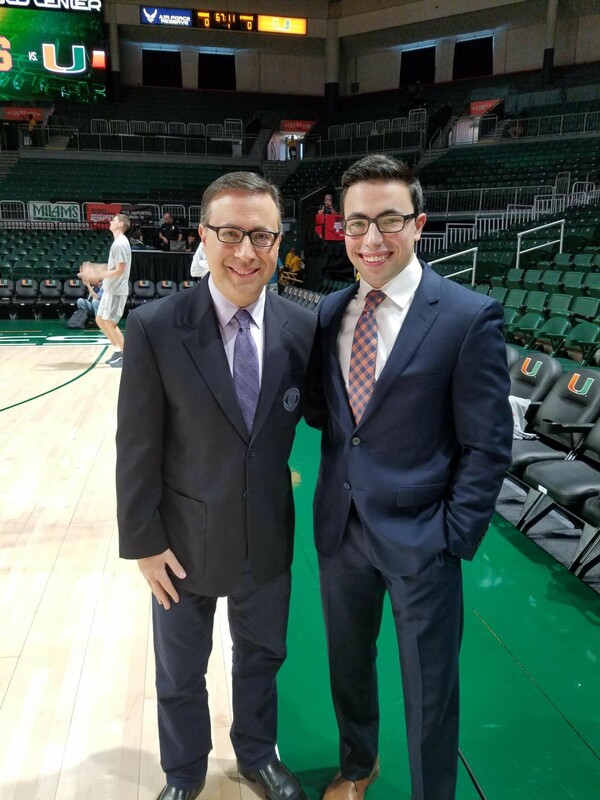 Ian Eagle ’90 and Noah Eagle ’19 pose for photo before the SU-Miami game, which they both broadcast for their respective outlets. It happened last weekend, when the Syracuse University men’s basketball team traveled to Miami to play the Hurricanes. Broadcasting the game as part of the WAER sports team was Noah Eagle ’19. Calling the game for CBS Sports was his dad Ian Eagle ’90, one of the top play-by-play announcers in the country. As one might imagine, it was a memorable day not only for both men, but for viewers and listeners too.